Henry Holt & Company, 9780805095333, 189pp. The Rovaniemis and their nine children belong to a deeply traditional church (no drinking, no dancing, no TV) in modern-day Michigan. A normal family in many ways, the Rovaniemis struggle with sibling rivalry, parental expectations, and forming their own unique identities in such a large family. But when two of the children venture from the faith, the family fragments and a haunting question emerges: Do we believe for ourselves, or for each other? Each chapter is told from the distinctive point of view of a different Rovaniemi, drawing a nuanced, kaleidoscopic portrait of this unconventional family. The children who reject the church learn that freedom comes at the almost unbearable price of their close family ties, and those who stay struggle daily with the challenges of resisting the temptations of modern culture. 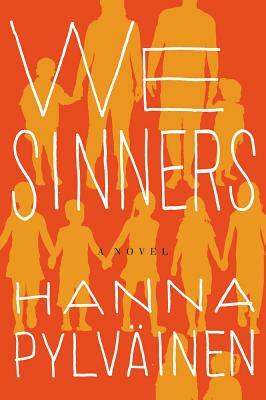 With precision and potent detail, "We Sinners" follows each character on their journey of doubt, self-knowledge, acceptance, and, ultimately, survival. Hanna Pylvainen graduated from Mount Holyoke College and received her MFA from the University of Michigan, where she was also a postgraduate Zell Fellow. She is the recipient of a MacDowell Colony residency and a fellowship at the Fine Arts Work Center in Provincetown, Massachusetts. She is from suburban Detroit."